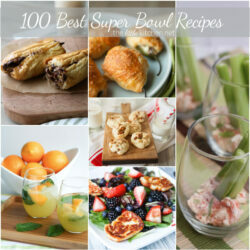 Are you ready for the Super Bowl yet? I have a confession to make, we don’t really watch the game – sometimes the commercials and sometimes not even the commercials. But even if we’re not, I always make a TON of appetizers and fun game day food and that’s what we eat on Super Bowl Sunday. 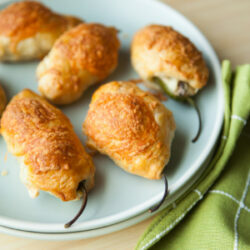 Do you like jalapeno poppers? 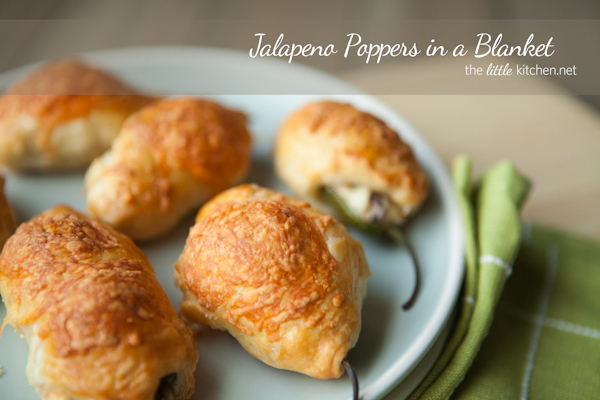 Quite frankly, these are the best jalapeno poppers I have ever had! 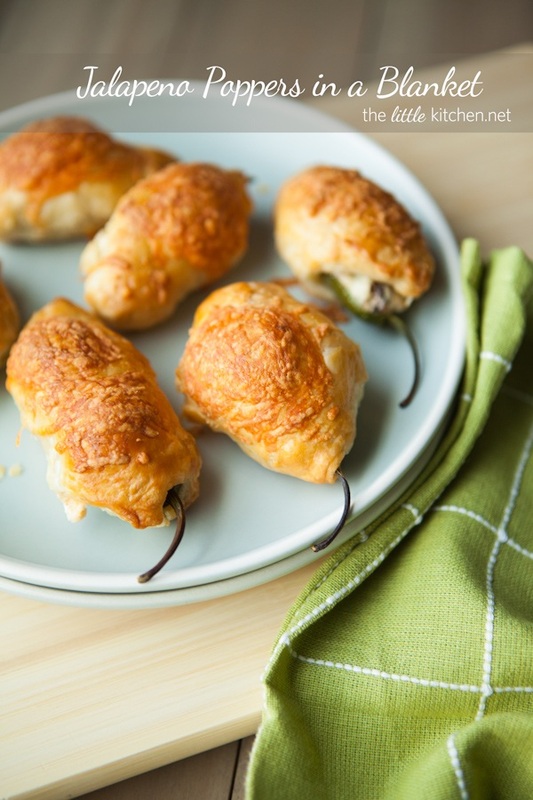 The combination of the Pepperidge Farm Puff Pastry and the roasted garlic in the popper filling is what brings this appetizer over the top. My only regret? I forgot to take a picture of the inside of the popper so you can see it! 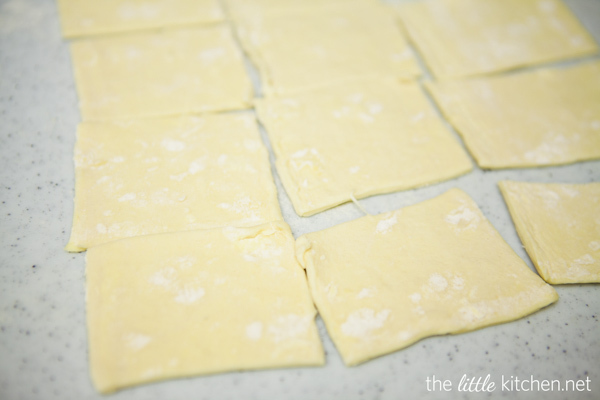 First thing, put Puff Pastry sheets in the refrigerator to defrost for 40 minutes and turn on your oven so you can roast some garlic. Cut off the end of the garlic and wrap it in some foil with olive oil. 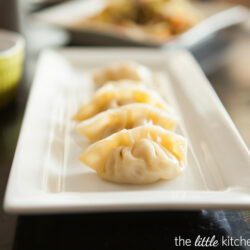 Thirty minutes later, you have these little beauties. I didn’t use the whole thing for this recipe so I froze the rest for a recipe in the future. 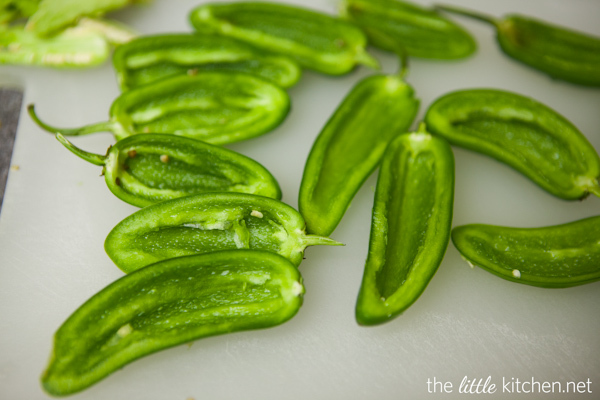 Clean and cut up your jalapenos and remove the seeds and ribs with a spoon – don’t you use your fingers and be careful, sometimes the juices go flying. It’s not fun to get them into your eyes. I have no idea how I know that. 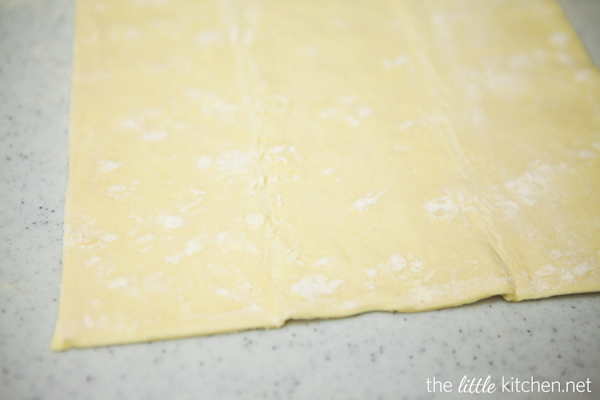 Isn’t the puff pastry beautiful? This is what it looks like after I unfolded it. Cut each sheet into 12 squares. I used kitchen shears to this, I’m sure you can use a pizza cutter too. 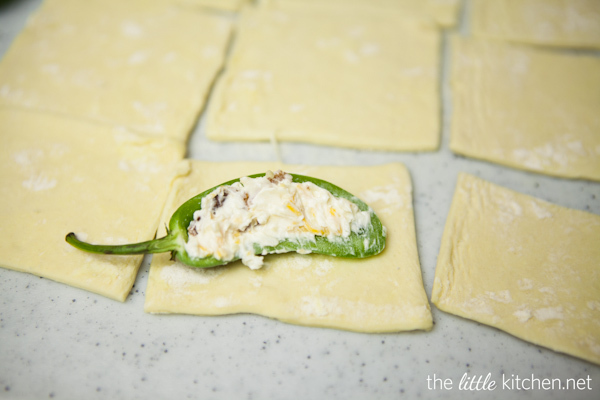 Stuff the jalapenos with your cream cheese filling and put your jalapeno face down in the middle of your puff pastry (I have it face up to show you how much I stuffed into the jalapeno) – at an angle. 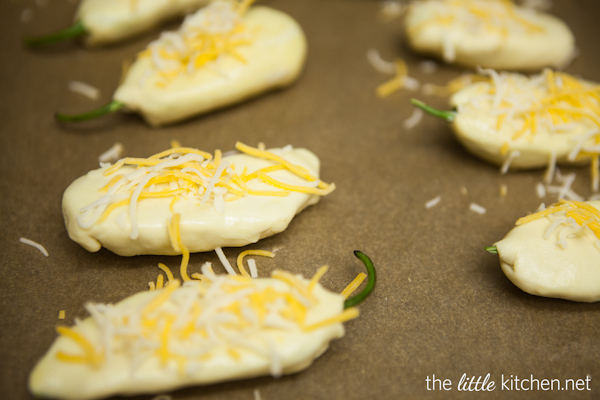 Seal and pinch to close the jalapeno poppers. Brush the egg wash on them and add some cheese on top. Bake at 400 degrees for 20 minutes. Let them cool for a few minutes and you’re good to go. 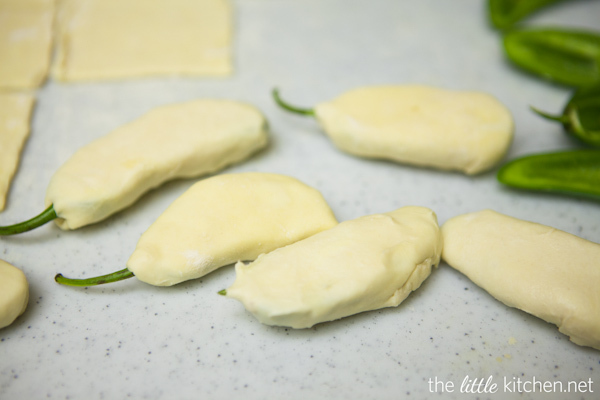 Curtis really enjoyed these and since I don’t eat bacon, I made half of them without…seriously this is going to be my go to jalapeno poppers recipe. And they microwave really well too. I put them on a plate lined with paper towels and started at 30 seconds – and adding additional 15 second intervals until they were ready. Ingredient Note: You can use store-bought roasted garlic or make your own. To make your own, cut 1/4 inch off the top of a whole garlic bulb. 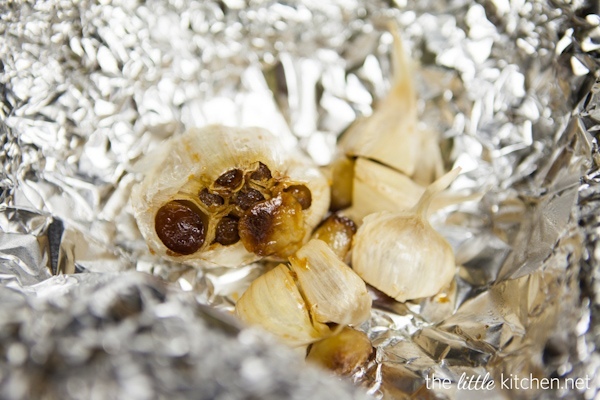 Place the garlic onto a square of aluminum foil and drizzle with olive oil. Wrap tightly and bake at 400°F. for 30 minutes or until the garlic is very soft. Squeeze the garlic cloves out of the peel to use in this recipe. From Ravenous Couple and Pepperidge Farm. I dont really watch the game either. 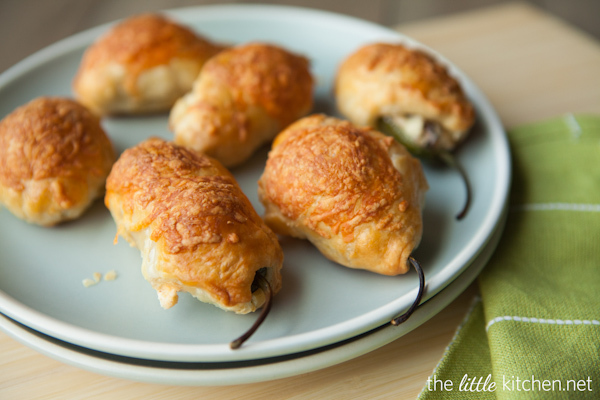 But if these jalapeno poppers in a blanket were served I’d watch just about anything! Oh Julie! They are so cute and I bet irresistible. This is a genius moment, Julie! Ooh! This is my kind of snack (or meal haha). I am definitely trying this one soon. I made these for a Super Bowl party. Very popular. Thanks. I am thinking about bringing these to a picnic, do you think they will be as good if they are not fresh from the oven? Can these be made and frozen? We are doing an “appetizer Christmas” instead of the big dinner and would like to make some things ahead of time.